In the past there have been various studies into how aromatherapy may benefit hair loss. Generally it has been considered useful as part of an holistic approach to deterring stress-related shedding, though ineffective for initiating hair growth in any form of ‘treatment’ capacity with the possible exception of the autoimmune disorder Alopecia Areata. Now, however, scientists from the UK and Germany have discovered a completely new way of using one particular scent for preventing baldness in Male and Female Pattern Hair Loss patients, as well as helping to regrow hair in cases of Telogen Effluvium. Their small-scale research has shown that a chemical which produces the same smell as sandalwood can influence hair follicles into both slowing down hair loss and encouraging hair growth. Researchers from the Monasterium Laboratory, Skin and Hair Research Solutions GmbH and the Department of Cell Physiology, Faculty Biology and Biotechnology at Ruhr-University Bochum, both in Germany, and the Centre for Dermatology Research, MAHSC and NIHR Biomedical Research Centre at the UK’s University of Manchester published their findings in the Nature Communications medical journal on 18th September 2018. They discovered human hair follicles can essentially ‘smell’ and the scent of Sandalore®, a chemical commonly used in scented beauty and grooming products and which mimics the fragrance of sandalwood, positively affected the hair growth cycle. This is not ‘smelling’ as we traditionally understand the sense of smell, but rather involves a signalling system of olfactory receptors (ORs). Specifically, the study explains, ‘OR2AT4 [which is found on the outer layer of the hair follicle] has been shown to stimulate keratinocyte proliferation in the skin’. Keratinocytes are cells found in the skin’s epidermis and are responsible for pigmentation throughout the body, including our skin, eye and hair colour. They also play a role in regulating stem cells within the hair follicle. Through in vitro tests carried out whereby Sandalore® was applied topically to four human scalp skin samples – taken, with patients’ consent, from remnants discarded during face lift surgeries – the study showed it stimulated ORsAT4 which, in turn, prolonged human hair growth and suppressed keratinocyte deterioration. The ORsAT4 antagonist Phenirat® was also administered and was seen to inhibit hair growth. Through ‘selective silencing’ of ORsAT4, Sandalore® was found to ‘profoundly impact human hair growth ex vivo primarily via regulating expression and secretion of the key hair growth-promoting factor, IGF-1’. IGF-1 (insulin-like growth factor – 1) is a hormone produced primarily by the liver, which is heavily involved in human development and growth. The amount produced throughout an individual’s lifetime varies from person to person and a deficiency or inability to produce IGF-1 can result in conditions such as dwarfism. 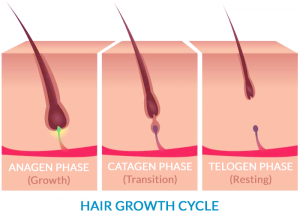 By using Sandalore to stimulate ORsAT4 and encourage the hair follicles to produce IGF-1, the anagen phase of the hair growth cycle was shown to extend, whilst the catagen stage was delayed – the active growth and shedding stages, respectively. It was proposed that additional pathways, not just IGF-1 signalling, should also be explored as others – including p38a/ERK1/2/MSK1/2, HB-EGF/EGF-R, and FGF-7 – may also produce similar results. As the collaborators conclude in their findings, ‘Taken together, our ex vivo data suggest that olfactotherapy by topically applied cosmetic OR2AT4 ligands like Sandalore® may promote human hair growth by prolonging anagen and inhibiting premature catagen development (e.g., in androgenetic alopecia and telogen effluvium)… Together, our study identifies that human hair follicles can engage in olfactory receptor-dependent chemosensation and require OR2AT4-mediated signaling to sustain their growth, suggesting that olfactory receptors may serve as a target in hair loss therapy’. Before anyone tries any home remedies based around the use of sandalwood oils, it is crucial to be aware that – firstly, – the product discussed above is a chemical ingredient used in the fragrance industry, it is not regular sandalwood oil. Secondly, even natural remedies can have nasty side effects and dangers attached to them, particularly essential oils – including sandalwood. Always take the necessary precautions to ensure any home remedies you may wish to try are done in the safest way possible with all instructions being followed properly. This trial was extremely small and, whilst certainly exciting in that it opens up a whole new channel for exploration in the development of future hair growth products and hair loss solutions, further research and development are still needed. Although live human clinical trials are next up, they have not yet started so there is no full picture available yet and this is not likely to become clear for a number of years yet. 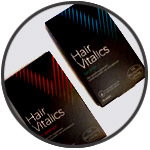 For those concerned about Male Pattern Baldness or Female Pattern Hair Loss in the meantime, there are established clinically-proven hair loss treatments already available; for those with Telogen Effluvium – which causes temporary hair thinning – the hair should grow back of its own accord within six months, though certain treatments may also help to accelerate this process. If you are at all worried about prolonged excessive hair fall, sudden hairloss, a receding hairline or generally thinning hair, a consultation with a professional hair specialist is advisable as a first port of call. This service will provide you with a diagnosis and treatment recommendations tailored to your specific condition, level and pattern of shedding, medical requirements and lifestyle. Furthermore, it can often simply provide a sense of relief, the knowledge that you are not alone in dealing with these issues and, should you want it, help is already available.